One Plus, the makers of the Android flagship killer in 2014 might be releasing their next smartphone soon as specifications and other details surrounding it has been revealed. Apart from details and the specs, a pair of leaked photos has also surfaced for us to see the possible next gen OnePlus smartphone. What’s best is that the device comes with better specs and a lower price tag. Thanks to Chinese tech blog, Gizmochina, for posting the photos of what they claim to be the unreleased smartphone. According to them this might be the OnePlus One Mini or it could launch as the OnePlus Two. The technical specs seen in the photo translates to a 5-inch display, 8-megapixel rear and front camera and is armed with a quad core Snapdragon 615 processor and Android 4.4.4 Kitkat. The phone might launch with a price tag less than $250 which would be a hit. If the leak is true, OnePlus might be launching multiple smartphones in the next year or they might surprise us by releasing it in this month! 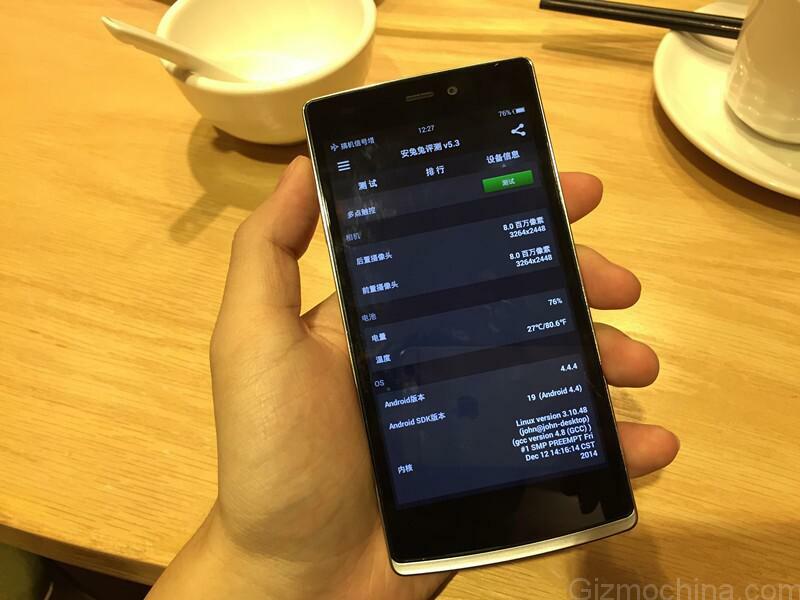 Specs of OnePlus Two was also leaked a week ago where it said it would feature a 5.5-inch full HD Display, quad-core 805 processor, 16-megapixel rear camera, 5-megapixel front facing camera, 3,300 mAh battery and 32GB for its storage space. Let’s wait and watch what OnePlus would be unveiling in the days ahead. A OnePlus One Mini or a OnePlus Two? or BOTH?